I started by feeling a bit uneasy about my first blog, I originally read the Web marketing for Dummies book, they advise you, not to worry too much about it, and just write from the heart; but the most important thing is not to take days or weeks over it, just get the job done. So I wrote a blog and emailed it to a friend, he thought that it was trying to sell itself too hard, which was what I didn’t really want. So then I wrote a new blog, which you can read below. Rather than trying to sell the services of my company, I thought what I really want is to be able to inform the public in an easy and accessible manner, something that the average Joe Blogs (sorry no pun intended, really)can understand and appreciate. That would give my audience, good sensible facts, information and advice,about the building and construction industry in general, but also more specifically, about electrical, plumbing and central heating matters, so that they could make an informed decision when it comes maintaining their homes and properties. 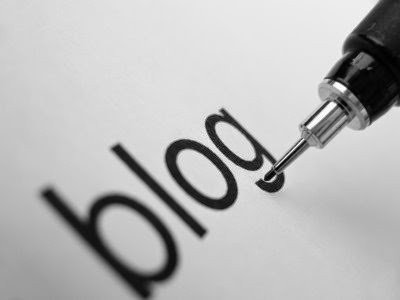 Anyway, after the second attempt at ‘my first blog’, I made the same mistake and thought that I would show it to several people including my wife,to see what feed back I would get. They all said things like, ‘what are you writing about that for’, or ‘what is the point of the blog’ and ‘Who will ever read it’ and which made me think, well who will ever read it and what will those who do, think of it. So after even more thinking and worrying, and a couple of weeks later (sorry Dummies), I stand here before you, with My First Blog. You can take your pot shots at me, remark on the grammatical errors (although you can’t blame me for any spelling errors, ‘cos I used a spell checker, so blame Linux for that), you can shoot me down for having the writing skill of a five year old. I don’t care any more, I’ve had enough. And the ‘Who will read it’ remark doesn’t matter any more, because you must have read it to get this far, and if you haven’t got this far, then you probably didn’t think much of it, and if you didn’t think much of it you will probably forget all about it anyway. So without further ado hear it is. Hi, my name is Nimrod, and this is my first blog, or is it Blog. My website is Nimrod.co, but you must already know that otherwise you wouldn’t have got this far. I am an electrical contractor and building service engineer. My company Nimrod Electrical Solutions provides building and refurbishment services in the London areas, although more essentially West London, North Surrey and Middlesex areas. I have been working for over thirty years in the construction industry and have been an electrical engineer for over twenty five years. Electrical engineers are what electricians call themselves, although on building sites we are also known as sparkies (among other names, but I wont go into those here). Being a sparky can be many things, sometimes dangerous, sometimes frustrating, but always satisfying. Safety is a big concern, although if you are careful and follow procedures, that shouldn’t be a problem. But even with all the care in the world and following procedures to the word, things can go awry. You just don’t know what problems you are going to encounter. Many years ago, I was working on a job in Wimbledon, up on the common, if you know Wimbledon at all. It was quite a posh house (not that that has anything to do with it). Anyway I had to pull in some new telephone cables through the loft, so I hauled myself up through the hatch, putting my hands on the sides of the rafters. I could feel the mains electric lighting cables under my hands. As I stood up I looked down to see that many of the cables had been gnawed through by rats, so much so, that the copper conductors were showing. How I missed contact with the copper conductors, and getting and electric shock, was beyond me. The problem with getting a shock in that sort of position, I mean halfway up a ladder, is that you also have a long way to fall (sort of shock, fall, thud, shock, pain). By the way rodent damage to electric cables is not a rare occurrence. There is something in them there cables that rats and mice find tasty. Of course there are solutions to the problem of rodent damage, which I will go into another time. not just an inconvenience, they are also a safety hazard, and solving them can bring up all sorts of problems. You could be chasing your tail for most of the day, without getting to the bottom of the problem and you can’t just switch the supply back on until you know that it is safe to do so. People get frustrated when the power is down for any length of time. All they want to do is get on with their lives. They look to you to solve the problem, as soon as possible, but they don’t realise and sometimes care about the requirements of the electrical regulations (called BS7671 to sparkies, and a pain to the rest of you). Electricians have to comply with BS7671, but I don’t think that Cowboys read it, so if you ask your sparkie ‘does that comply with BS7671’ and he doesn’t have a clue what you are talking about, then he is more than likely a cowboy, so gather together your posse and ride him out of town. Many people are aware of ‘rogue traders’, there are more programs about ‘rogue traders’ (usually made by rogue reporters) on TV these days than you can shake a stick at (by the way where does the saying ‘to shake a stick at’ come from anyway?) The people that are the subject of these programs are usually those with little or no training and less experience (you might say ‘you can’t have less than no experience’, although after you have seen some of the horror stories I’ve seen, it might be possible). It seems to be big business to tempt well intentioned youngsters or those that want to improve themselves and increase their earnings, with short courses as electricians and plumbers. They charge these people extortionate fees for inadequate training and a piece of paper that doesn’t prepare them for the real world. Tempting them with pots of gold at the end of the training rainbow. This makes it harder for the genuinely qualified and experienced electricians, electrical engineers, plumbers and heating engineers to earn a decent living, contrary to what is said in the press. I don’t know any of these tradesmen that have risen above the average earnings, unless they are the main contractor running gangs on seriously large construction projects. I have been in the business long enough to have been around and seen all sorts of horror stories. Do-it-yourselfers cutting costs, under trained electrical engineers, or just chancer s passing themselves off a electricians. All doing more harm than good. My college tutor used to say, ‘the difference between a good electricians and a bad one is the bad electrician says ‘well it works don’t it?’. In my opinion, about 80% of the training to qualify as an electrician is about matters of safety. To conclude my First Blog, I hope to bring to you in the future, what you should expect from your electrician (or electrical engineer), what are good practices and how to avoid costly surprises. How to spot the ‘rogue trader’ from the genuine article. And to give the credit due to all those hard working sparkies out there, risking life and limp to keep us powered up. Now where’s my cup-pa tea?